Banned Shuttler Zulfadli's Father Claims His Son Is A Victim Of An "Unjust Trial"
"Zulfadli will not do anything to shame his family and country." "As his coach, father and head of the family, I am extremely sad and disappointed with what has happened to us. My son is a victim of this situation. There is something terribly wrong (with the case)," Zulkiffli Sidek, the father, said during a press conference. Sidek says that he, as a father and coach, is certain that his son is innocent of all the charges made against him. "Zulfadli will not do anything to shame his family and country," Sidek added, as reported by NST Online on Friday, 4 May. "You (BWF) charge someone without solid evidence, during the hearing in Singapore. "Though I wasn't inside, I know that the lawyers had answered to all your charges. But when asked which match in particular was fixed, you say that the evidence is not necessary. I am sad that my son is a victim of this unjust trial," he told media. "My dream was to see my son become a Malaysian champion. "I'm devastated because after everything we've done for the country, including winning the world junior title (2011), my son is played out like this. "I will admit that I shed tears of joy when my son became the first Malaysian boys' singles champion at the World Junior Championships, and the Negaraku was played," he said, adding that he will not give up on his son, and will fight till the end. "With the help of God, I will fight with everything I have (to uphold the truth)." The 25-year-old shuttler, who is banned for 20 years after being found guilty of match-fixing, however, has refused to admit to the charges. "I'm the victim and not the offender," Zulfadli claims. 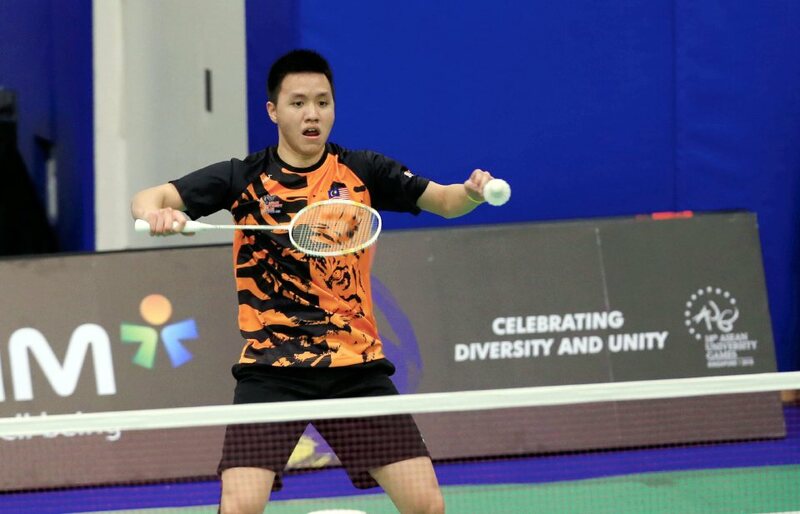 According to The Star Online, the shuttler claims that the Whatsapp messages, which were used as evidence against him and Tan Chun Seang, were just conversation about their occasional gambling in casino and sponsorship issues. "I would like to humbly apologise to all Malaysians, my family, and my fellow badminton players for the shame and humiliation the BWF decision against me has brought to others. "I am not apologising for match-fixing for I did not do it. I am apologising because of the decision of BWF against me. I am not admitting to the charges against me," Zulfadli said in a press conference on Friday, as reported by The Star Online. The Badminton World Federation (BWF) slapped a 20-year ban on Zulfadli Zulkiffli and a 15-year ban on Tan Chun Seang. Planes made more than 30,500 trips in 12 months. He pleaded guilty to causing unnecessary pain to the dog.